Experience London's best attractions in one afternoon. See St Paul's Cathedral, The Tower of London . You get all of this and more on the Afternoon London Tour. Buy tickets to Afternoon London Tour here! Do you want to see the best of London’s amazing attractions in just one afternoon? Then come along on this 3 ½ hour afternoon tour around London where you get to see all of the highlights. 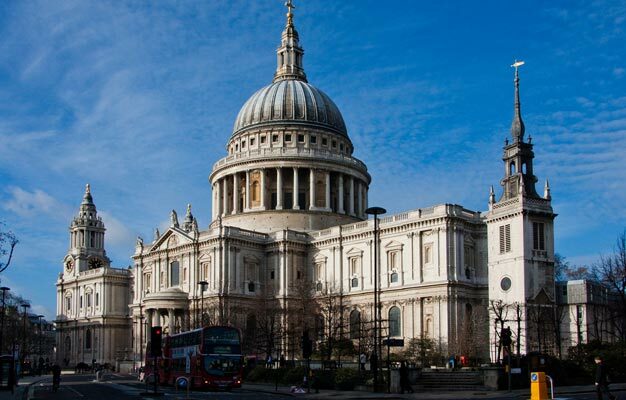 This includes a guided tour of St Paul’s Cathedral, and a guided tour of The Tower of London where you will see the magnificent Crown Jewels and have time to explore on your own. Your experience also includes a panoramic tour of London. - Operates daily at 1:00pm from The Original Tour Visitor Centre, Trafalgar Square - Children aged 3-16 years qualify for child tickets. - St Paul’s Cathedral is closed on Sundays. If you book on a Sunday, you will stop for photos and spend longer at the Tower of London.